For the third consecutive year, the Denver Outlaws will battle for the right to raise the Steinfeld Trophy as they take on the Dallas Rattlers in the 2018 MLL Championship at the MUSC Health Stadium in Charleston, S.C on Saturday. 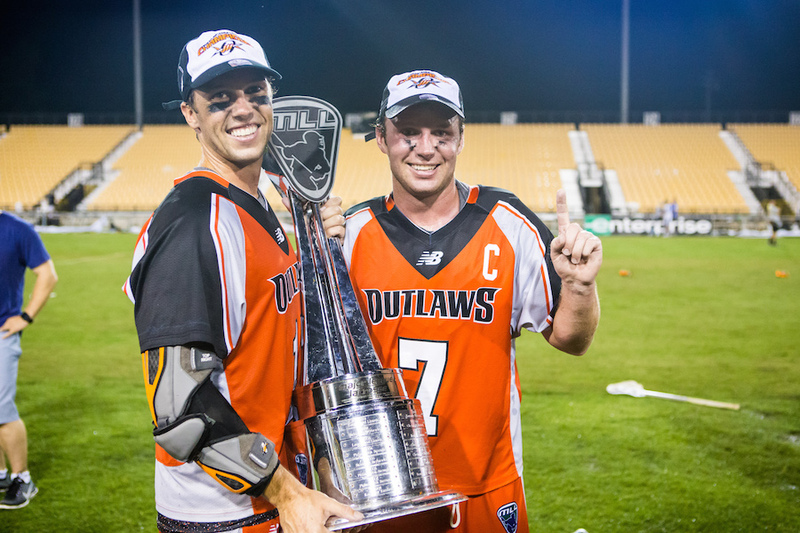 Prior to the Rattlers’ relocation to Dallas, the team resided in Rochester, who played the Outlaws in the 2014 MLL Championship at the Fifth Third Bank Stadium in Kennesaw, Georgia — where the Outlaws won 12-11 to claim the franchise’s first Steinfeld trophy. A year later, the Rattlers returned to the MLL Championship game, only to fall 15-12 to Paul Rabil and the New York Lizards. The following year, the Outlaws returned to the championship game and defeated the Ohio Machine 19-18 to claim their second Steinfeld Trophy. A year later, the Outlaws and Machine met again in the championship game, with the Machine exacting their revenge to claim the title. After starting off the regular season 1-4, the Outlaws stormed back into playoff contention with a six-game winning streak. Despite dropping a pair of games towards the end of the regular season, the Outlaws clinched a playoff berth in a 15-14 road victory against the Atlanta Blaze in the last game of the regular season. The Outlaws found themselves facing a familiar playoff opponent in the Chesapeake Bayhawks, a team they faced only two weeks prior to the end of the regular season, in the first semifinal game of the 2018 MLL playoffs. The Outlaws then defeated Chesapeake 13-12 to advance to the championship game. Through their first five games, the Rattlers held a record of 3-2, before taking a leap forward and concluding the regular season atop of the Major League Lacrosse (MLL) standings with an 11-3 record. The Rattlers defeated the New York Lizards 15-12 in the second game of the MLL semifinals to advance to the championship game. With both of the regular-season games between these two teams being decided by a single goal, it’s fair to assume that lacrosse fans will be set for a high-scoring, nail-biting championship game between these two offensive powerhouse teams. Among a number of talented offensive weapons for the Outlaws, one of the players to watch will be veteran Outlaws attackman Eric Law, who finished the regular season with a team-leading 58 points. Law led the way for the Outlaws in their semifinal game against the Bayhawks by recording six points in the victory. Outlaws rookie attackman Chris Cloutier may be available for the championship game against Dallas after being cleared from injured-reserve. He was not able to make the trip to Chesapeake for the semifinal game against the Bayhawks. For the Rattlers, attackman Jordan Wolf led the team with 51 points, with fellow attackman Ty Thompson not far behind him with 39. For Outlaws fans who will not be attending, the 2018 MLL Championship game will be on Saturday, August 18th with faceoff scheduled for 7 p.m. EST (5 p.m. MDT). The game will be televised on ESPNNews, and live streamed on Lax Sports Network. Fans will also be able to follow all of the action on the Denver Outlaws Twitter page.